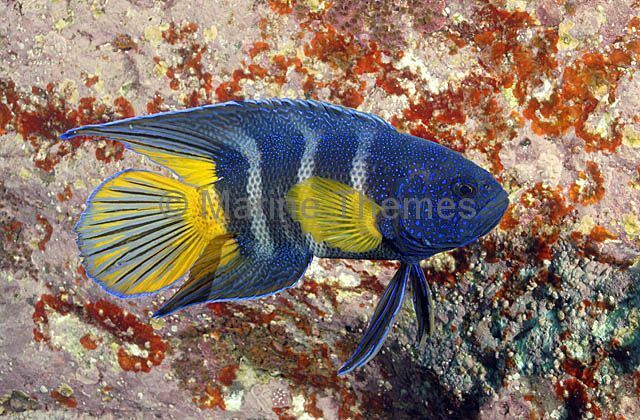 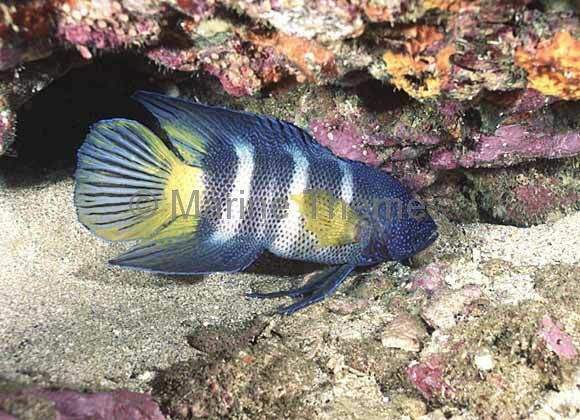 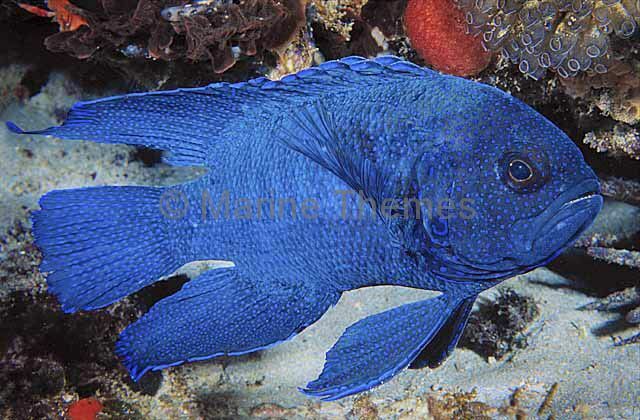 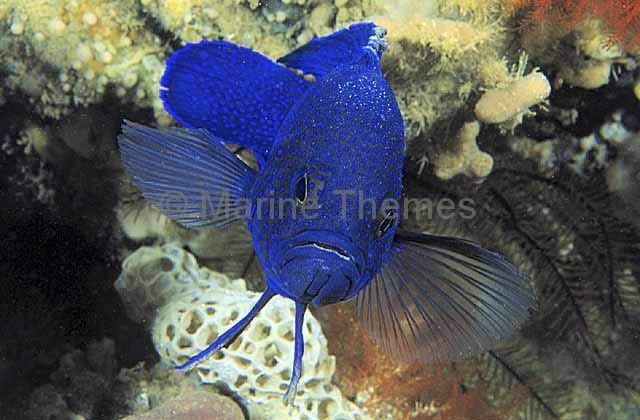 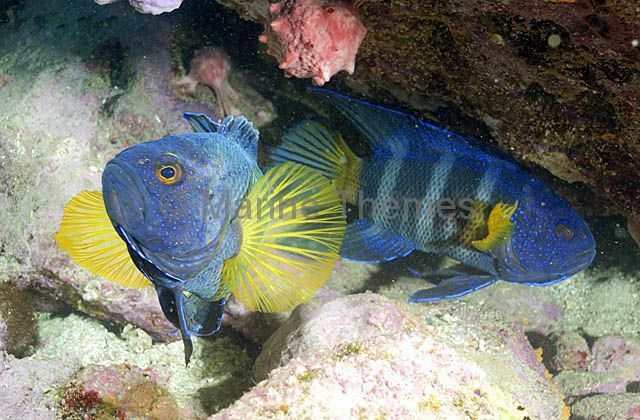 Southern Blue Devil (Paraplesiops meleagris) Protected species. 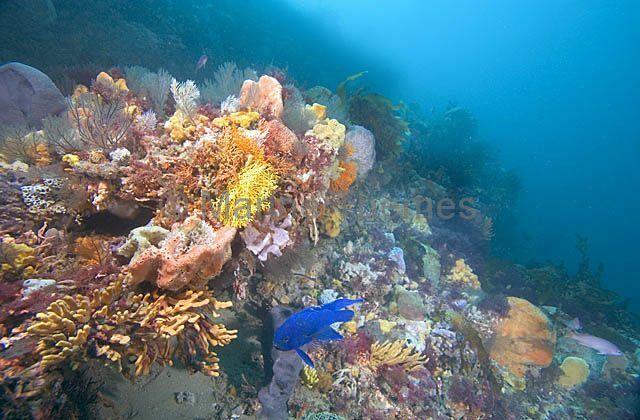 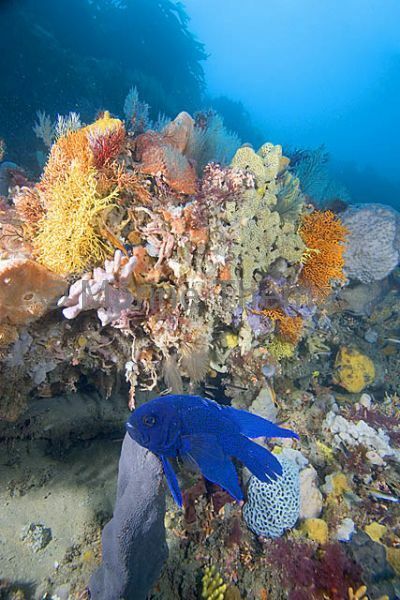 Silica Sponges (Demospongiae) and sessile reef growth with Blue Devilfish (Paraplesiops meleagris) on deep temperate reef wall. 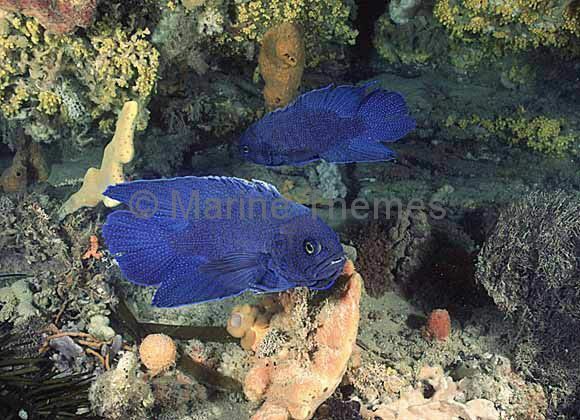 Blue Devilfish (Paraplesiops meleagris) sheltering under protective ledge on deep temperate reef wall with sponges and sessile reef growth. 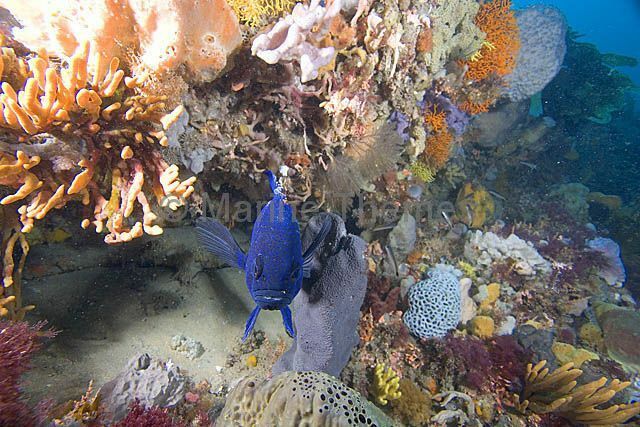 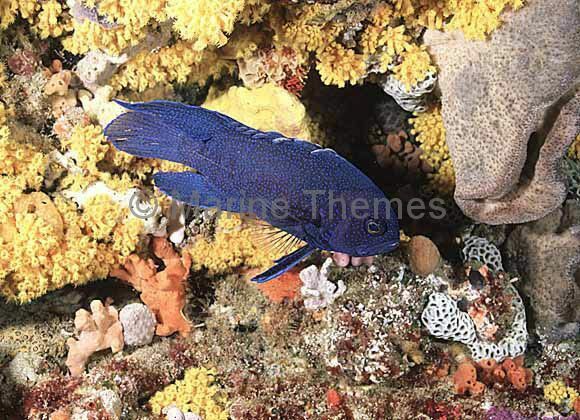 Blue Devilfish (Paraplesiops meleagris) hovering near protective ledge on deep temperate reef wall with sponges and sessile reef growth.